A personal goal I have for the new year is to lose some weight. After two kids, I have a "few" extra lingering pounds. 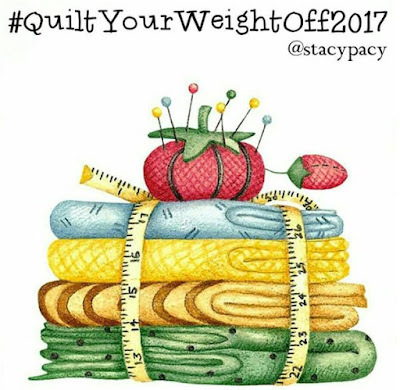 I was already planning on getting serious about it at the start of the year, but then I discovered that @stacypacy on Instagram was planning a weightloss sewalong! Here's how it works: for each pound that you lose, make a quilt block. 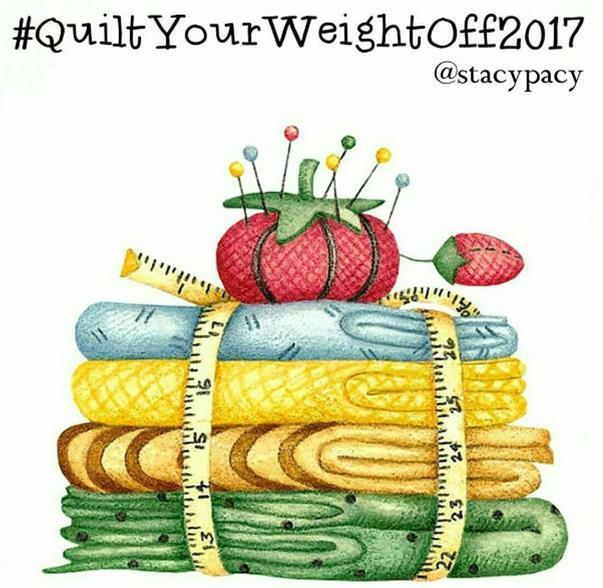 Then at the end of your weightloss journey, you have a quilt to show for it! Stacy has already put some real thought and time into the sewalong. You can join in on the fun on Instagram for free, posting and sharing your journey and connecting with others for support and encouragement. Or you can up the ante and pay $5 to join a group of quilters that are dedicated to the process and hope to win some prizes along the way (that's me!). 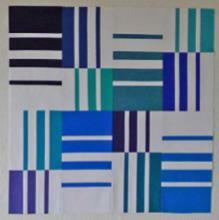 I have chosen Elizabeth Hartman's Knee Socks Quilt Block for my weightloss quilt. I love the modern look and the idea that the blocks *should* be quick to stitch up since I'll be working on this project alongside my already scheduled projects. I also love that the blocks can be interpreted as "fat" to "skinny" - perfect symbolism for losing weight! I haven't completely settled on what fabrics to use. 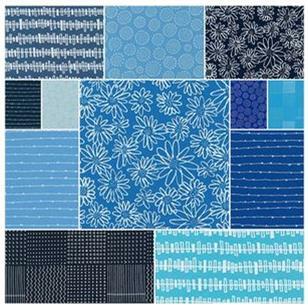 I keep coming back to the blues in Karen Lewis' Blueberry Park fabrics. I really love them, and think that a quilt that's just for me just might be the perfect use! There's been some joking about what to do if you gain a pound or two. Rip out the stitches in the blocks you've made? Make a block out of ugly fabric? Lock the blocks away until you earn them back? I don't want to have to decide! Be sure to connect with @stacypacy if you want to join us! The sign-up form is here. I'm hoping you see a lot of these blocks popping up in the next few months as I start this journey! Thank you for the great idea. I think that as I sew, I'll weigh the results and then see that amount of weight drop off me. I'll be having so much fun that I'll be snacking less.